We invested over 15 years to develop our Five to Seven Step method that treats all sorts of Acne Scars and is finished in a couple of hours. 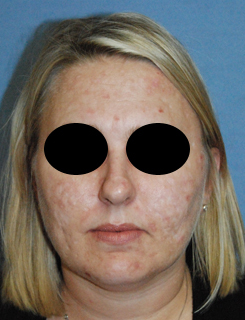 Learn More Below About The Acne Scar Vitalizer Treatment Today! Presented by Dr. Philip Young of Aesthetic Facial Plastic Surgery Bellevue | Seattle. 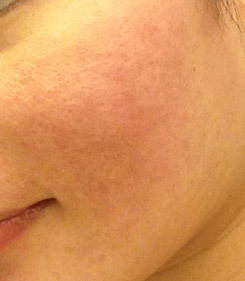 There are many ways to approach White Depressed Acne Scar Marks. 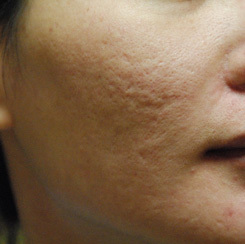 You can see how Dr. Young and his team approaches Acne Scarring from a general point of view. You can excise the scar out and hide the scar through a geometric pattern. We have videos on this approach here: Geometric Line Closure Scar Revision. Subcision by cutting around the depressed scar and elevating it and closing it is one option. 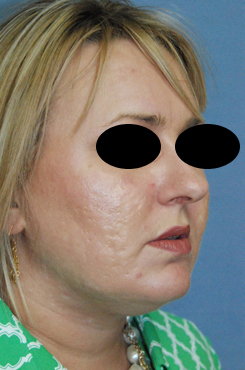 Subcision by creating collagen underneath the scar and then treating the scar with resurfacing is another one. Treating these scars with resurfacing alone will get some results but they will be mostly minimal and if you are okay with that then this could be one option. Out of all options, The Acne Scar Vitalizer Treatment is by far the best in our opinion. 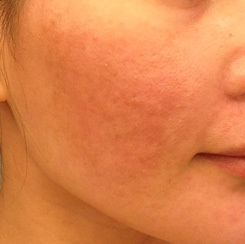 The second before and after above is the treatment done with the Acne Scar Vitalizer Treatment. 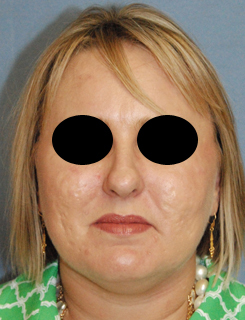 Follow this link to learn more about the exciting procedure: Acne Scar Vitalizer Treatment. 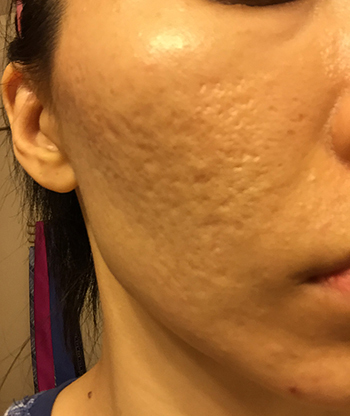 More explanation of the depressed acne scar mark: Why does your scar get depressed after an acne infection? Well the source and location of the infection is from the hair follicle. 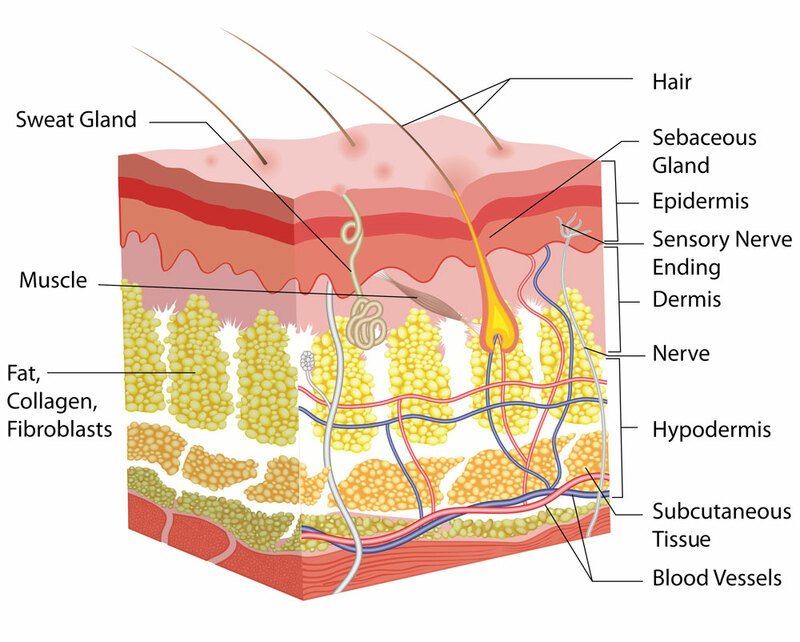 Below is a picture of a segment of skin to better help explain the depressed scar. The main point of showing this diagram is to demonstrate that the hair follicle goes quite deep depending on the growth cycle it is in. Because the infection is located here, many layers of the skin can get infected and damaged. The depressed scar occurs because the deeper tissues get affected, damaged and ultimately is degraded and absorbed. What happens is that the skin then gets pulled deeper because of the loss of tissue from the damage that occurs. 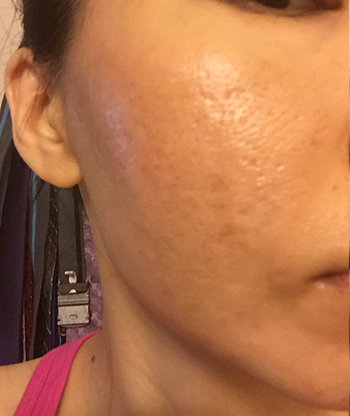 This is why working in all of these layers is important to improve the deep depressed acne scar mark. Many times, this scar is treated with just surface approaches like laser resurfacing, dermabrasion, dermasanding, and chemical peels. The reason why this falls short many and most times is that the resurfacing only approaches one layer, the top layer. 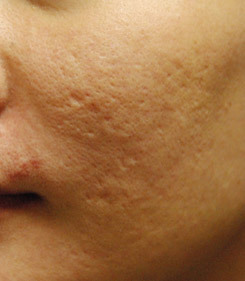 That’s fillers, and other approaches have started to take more of a role in the treatment of acne scars that are depressed and deep like ice pick scars and box car scars. 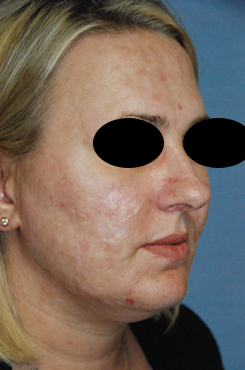 The Acne Scar Vitalizer Treatment is based on these ideas. This procedure focuses on treating multiple layers of the skin and also treating the top layers. You can visit our page on the Acne Scar Vitalizer Treatment by following this link: Acne Scar Vitalizer Treatment.